Both Anne and I love to camp in scenic places. 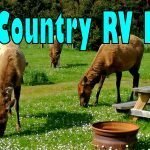 I like to look out the RV back window or from my camp chair and gaze at natures beauty. 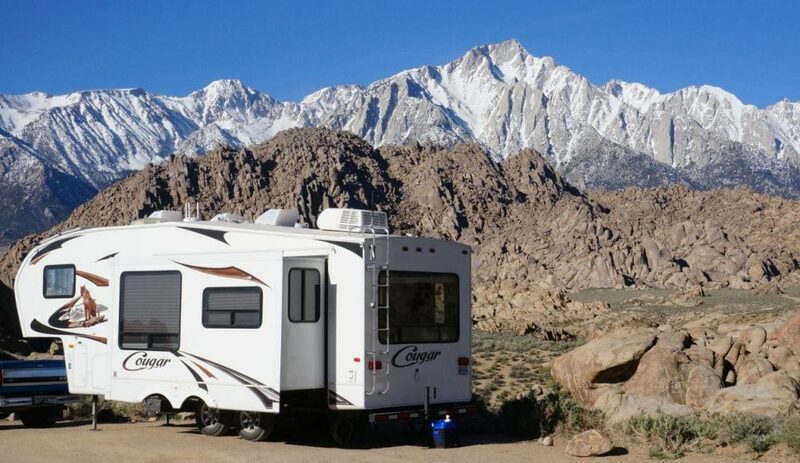 Since many of these locations are off the grid without hookups, I have over the years slowly outfitted the Cougar fifth wheel to make things more comfortable for us. We are pretty well self-sufficient now and can explore such places more deeply and for longer periods. 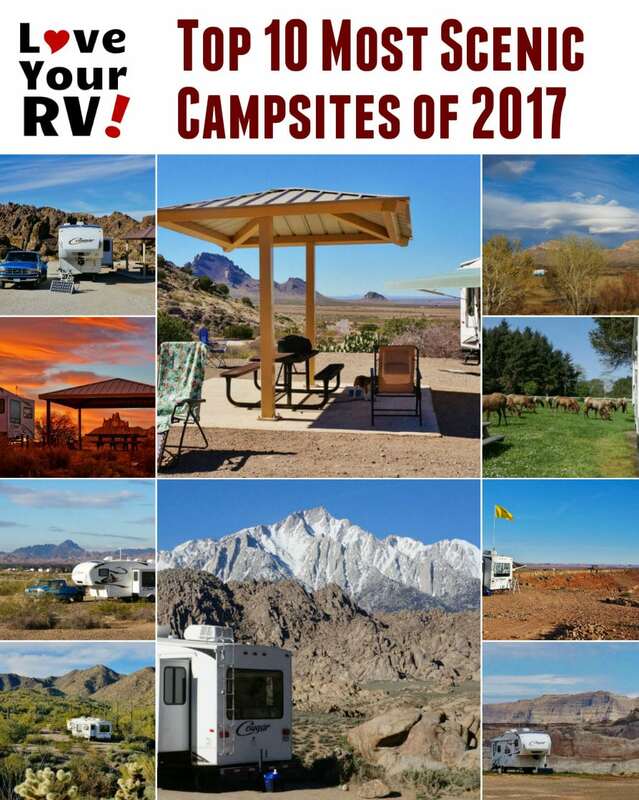 This past year 2017 was another banner year for campsite beauty. Here are the top ten scenic camping favorites listed in chronological order. For more in-depth information, photos and videos for many of these sites click on the titles. Also, I created a special Google Map with bookmarks of each location including GPS coordinates. 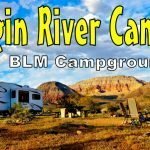 Free BLM camping across the street from the Cibola National Wildlife Refuge. 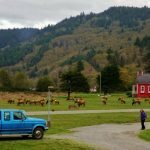 The boondocking location wasn’t anything spectacular but did have some lovely mountain views. However, the star attraction for me was the birds just across the road in the fields. Several times a day hundreds, maybe thousands of snow geese would take to the air in a massive flock, something to see! There were many other bird species viewable as well along the free loop drive and a nature walk to a viewing pond. 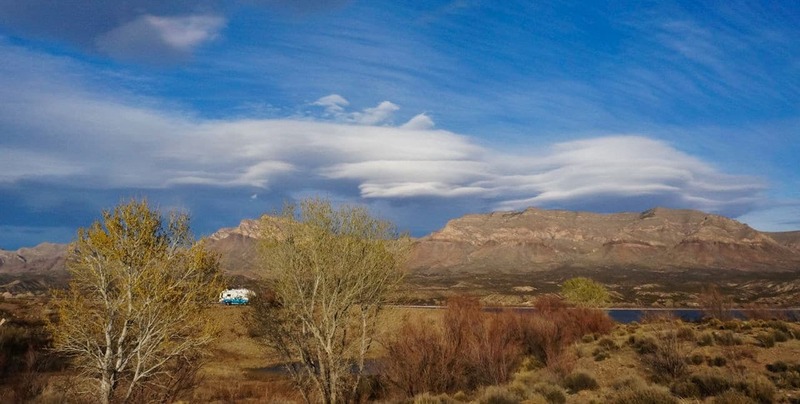 Just a few miles west of the little Arizona town of Ajo lies the Ajo Scenic Loop Drive. 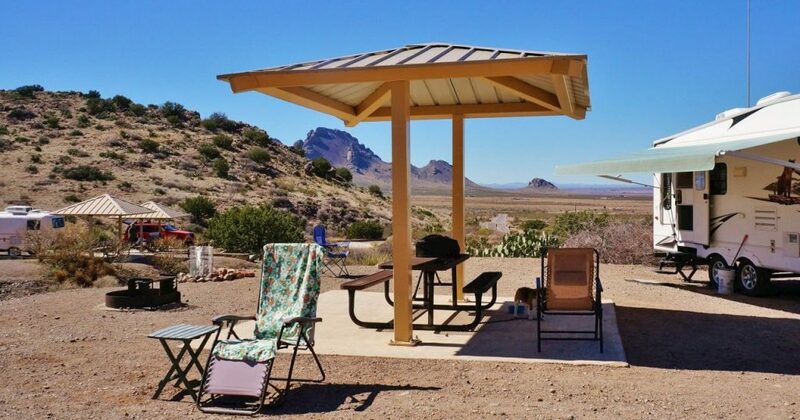 All along the southern end of the loop drive are little spur roads with free BLM camping sites. Some are small, and some are unlevel, but many are suitable for a rig our size. We loved the gorgeous lush Sonoran desert terrain featuring numerous cactus varieties. There are tons of ATV trails making for easy hiking. Paths that lead up into the hills offered beautiful panoramic views. 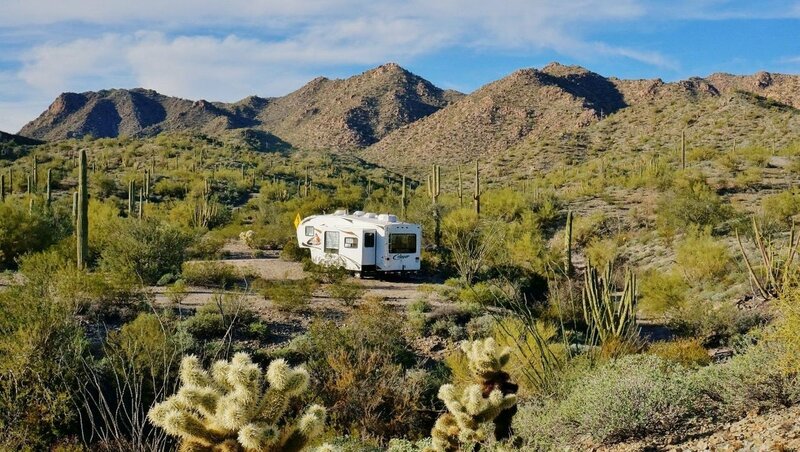 Rockhound State Park campground lies nestled on a mountain hillside covered by a carpet of prickly pear cactus. 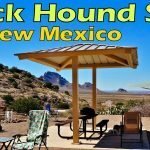 This is a New Mexico state park so just like most others boosts large, clean, well-appointed campsites at a low cost. 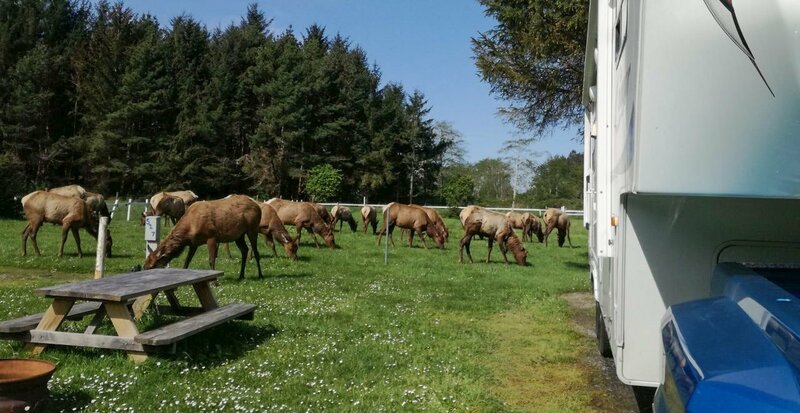 We paid 8 dollars a night for a large dry camping site. Water/electric sites could be had for $14. Other perks to the park are hiking trails and free collecting of rocks up to 15 lbs worth. The town of Deming, NM and Interstate 10 are 1/2 hour drive away. Another beautiful New Mexico state park visit was to Caballo SP. Again dry camping could be had for 8 dollars a night. 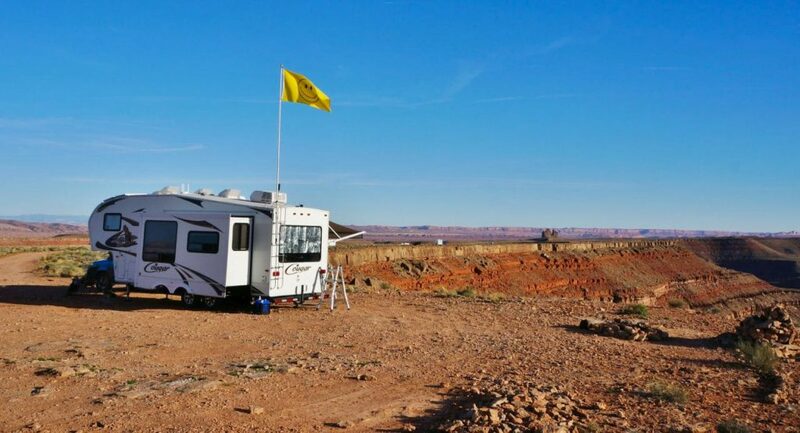 The boondocking area had lots of room, especially when we visited in the offseason, early March. We found a spot right above the reservoir with views of the water and the mountain range in the distance. One windy day, bizarre looking vortex clouds formed. Stunning! 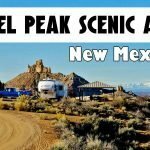 Probably my favorite campsite of 2017 was in the Angel Peak Scenic Area of north-west New Mexico. 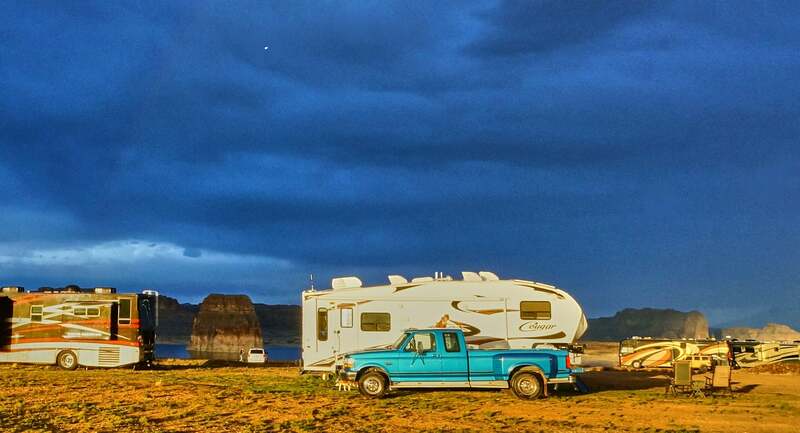 There is a small free campground perched on the edge of a badlands canyon with views to the areas namesake rock formation. 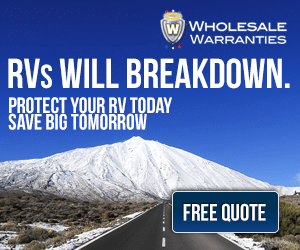 Only a few sites can support a larger RV like ours, but the place is somewhat remote so not too busy in the early spring. We scored a primo spot. Highlights of our stay was an out of this world, fiery sunset that lit up most of the sky and hiking on the badland ridges. 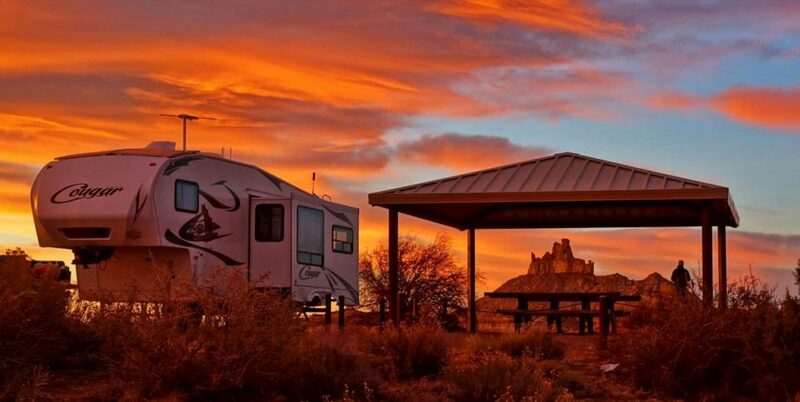 Goosenecks State Park is a one of a kind camping location. I’ve never seen anything quite like it. Dry camping at 10 dollars a night right on the edge of a 1000 foot deep snaking canyon with a river far below. Off in the distance on the edge of the horizon, the famous red sandstone spires of Monument Valley are partially visible. 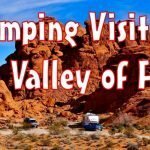 The campground was a perfect base to explore the nearby area chock full of incredible rock formations and scenic vistas. Back at camp, I loved our morning coffee and afternoon happy hours spend on the lip of the canyon. We only could stay a few days here as an early spring storm swept in forcing us to retreat to lower elevations. I really want to return and explore it more. Lone Rock Beach part of the Glen Canyon NRA. Primitive camping right on the beach for $14 a night. Unfortunately, I didn’t get too many pictures or video footage of this spot but here is a little taste of the beach scenery. 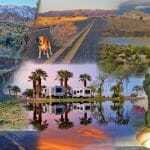 Makes a great affordable base to explore the National Rec Area and the many tourist hotspots around Page, Arizona. 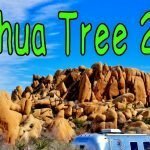 A return visit to an all-time fav boondocking location at Alabama Hills BLM. What can I say the photo speaks for itself. Beyond the obvious scenic view, we had a blast hiking and photographing among the rocks. It’s a place of natural serenity where your troubles melt away as insignificant against the timeless backdrop. 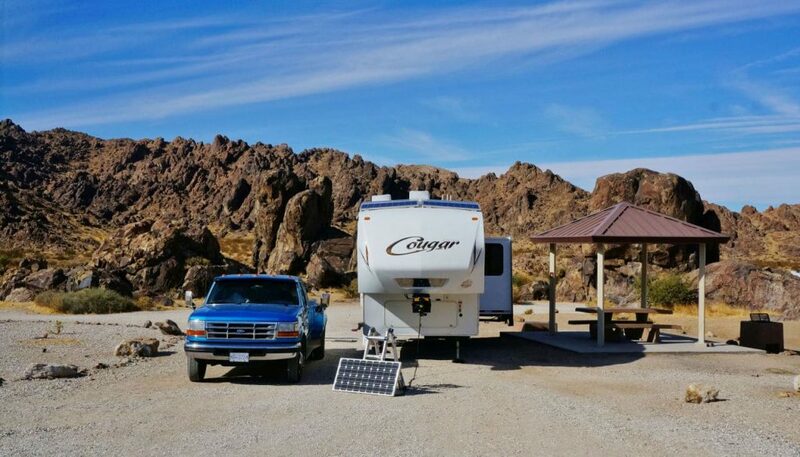 The final memorable scenic campsite of 2017 was found at once again a free as beer BLM campground a little south of Barstow, California. 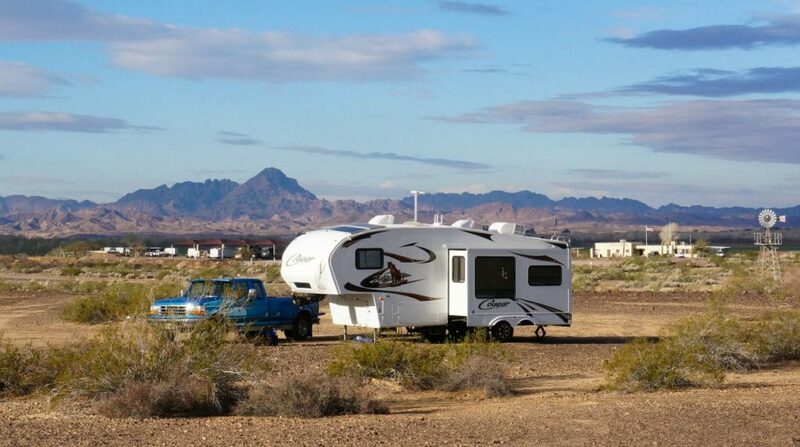 A small campground nestled amongst jagged rocky spires and cliffs of volcanic rock jutting up from the desert. The enclosed canyon made the camp feel remote from the outside world. There were worthwhile panoramic views once you hiked to the top and peeked out the other side. Once the weekend came, the place was flooded with rock climbing enthusiasts, and daredevils doing spiderman acts up the sheer rock walls. Our stay was short, chased away by cool, windy weather, but we will be back!